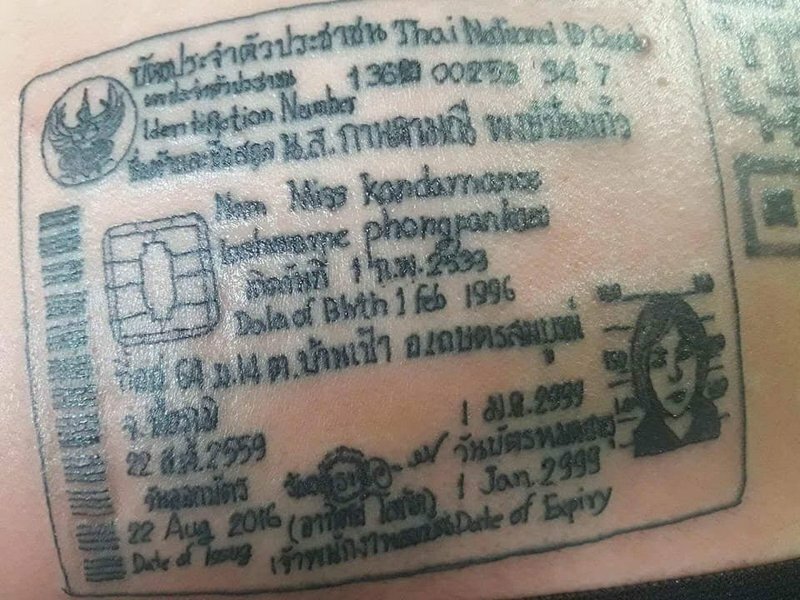 The tattoo, on 21-year-old Miss Kandamanee Phongpankaw’s back, was of her Thai national ID card – but with an expiry date for 499 years from now. 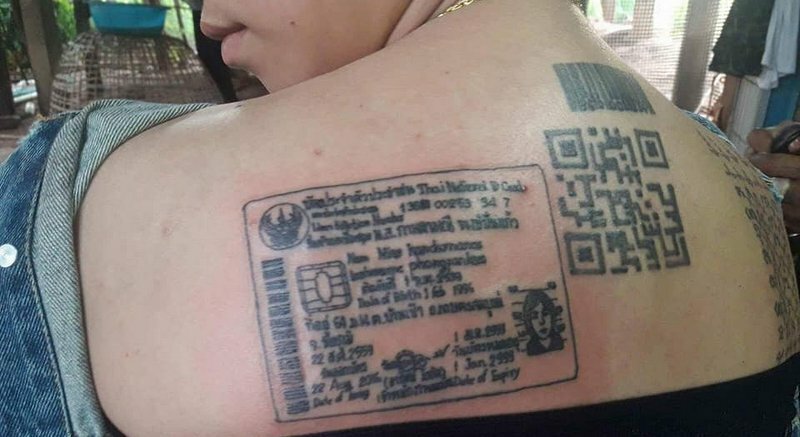 Artist Saksit Chantawong, 34, said it was the first time he had tattooed identification someone. The unusual tattoo came about after he received a request for ID tattoos from two soldiers who were about to be sent to work in the three strife-torn southern border provinces. The soldiers told Mr Saksit that having their identification tattooed on their backs would make them easier to identify if they died in the line of duty, T News reported. However Mr Saksit wanted to practice an ID tattoo before doing work on the soldiers, so he recruited his niece Miss Kandamanee as a guinea pig. The photos of her unusual tattoo immediately went viral after they were posted on Facebook.